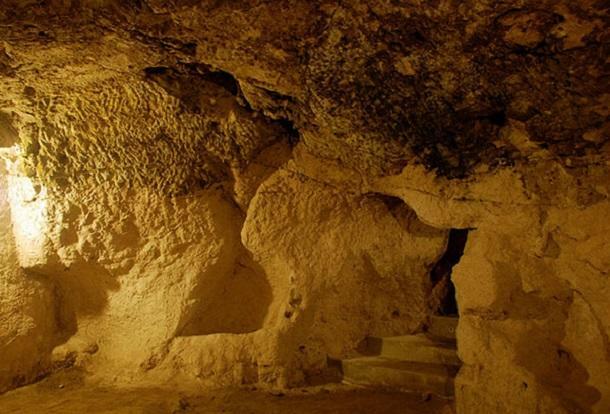 In 1963, while a man in the Nevşehir Province of Turkey was renovating his home, he noticed a mysterious room behind it that led him to some more cave-like rooms in a web of elaborate tunnel systems. 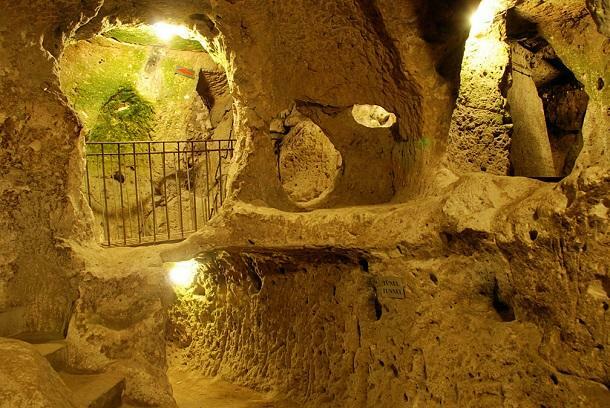 What he just stumbled on was the ancient underground city of Derinkuyu, a part of the Cappadocia region in central Anatolia in Turkey. 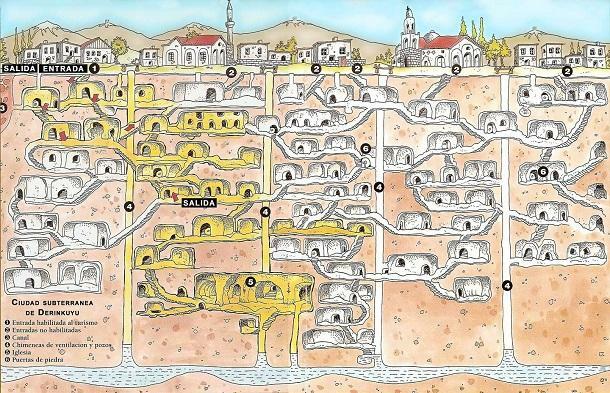 Here's the map of the ancient Derinkuyu Underground City. 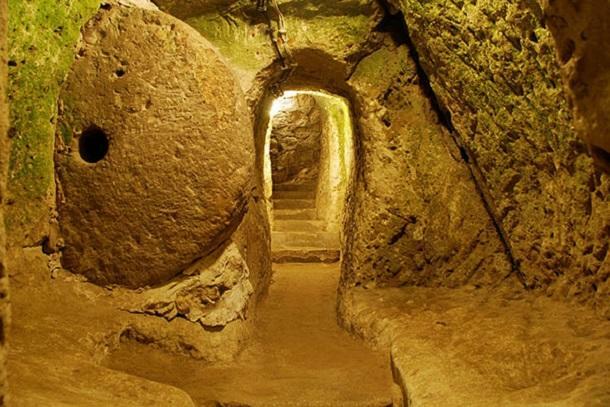 Derinkuyu was one of the several underground cities carved from the rock in Cappadocia Turkey thousands of years ago. 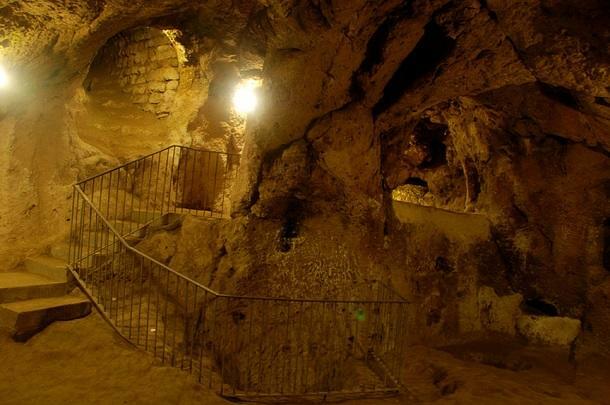 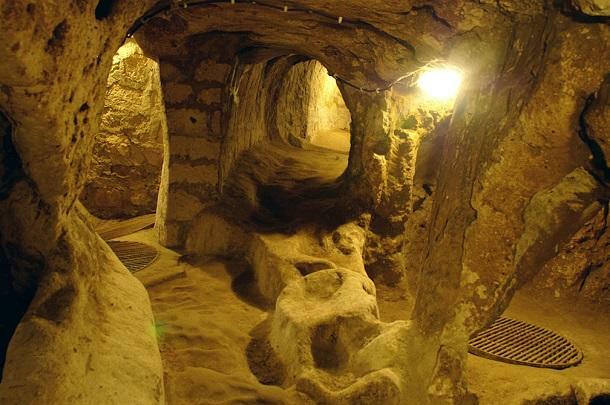 With eight floors reaching depths of 280 feet and an estimated 18 subterranean levels, Derinkuyu is believed to be the deepest underground city. 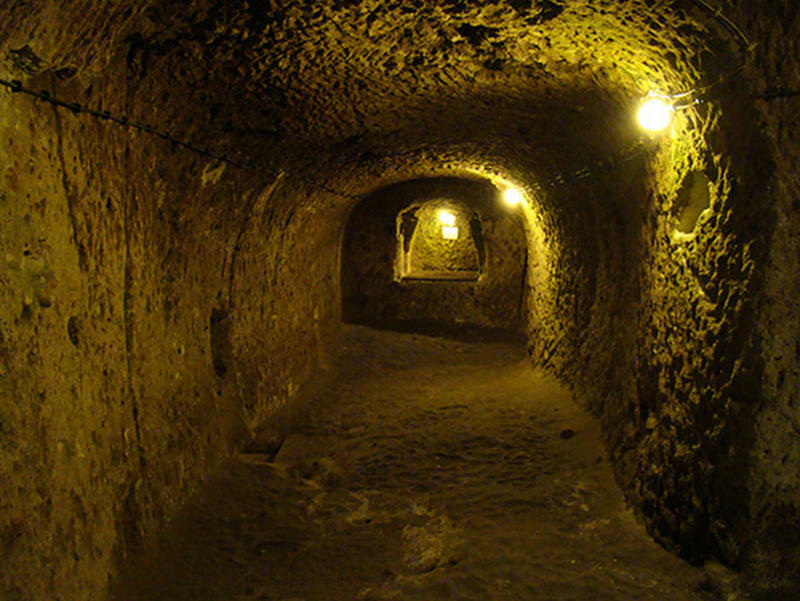 The city's elaborately intricate subterranean network include secret entrances, ventilation shafts, wells, and connecting passageways. 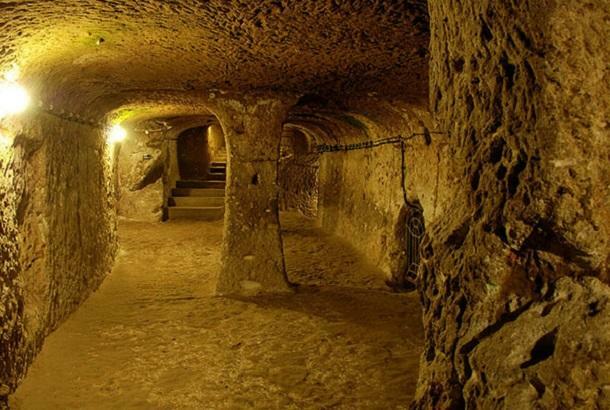 The underground tunnel system most likely served as a giant bunker to protect its inhabitants from war and or natural disaster. 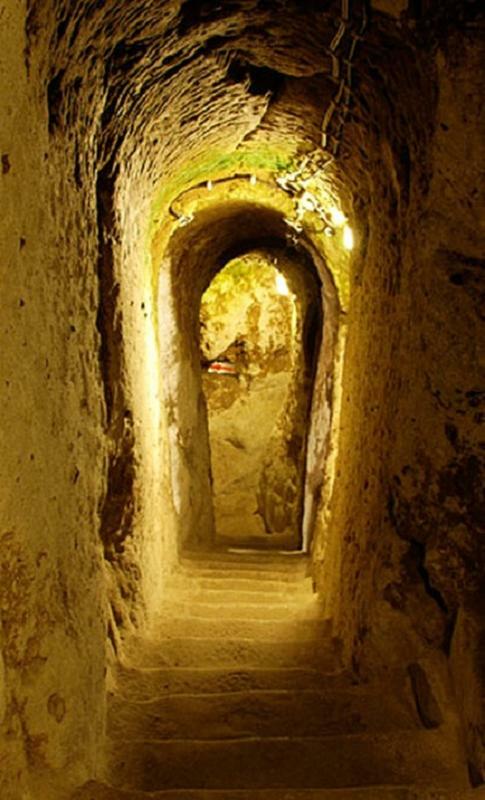 The wells in the underground city were not connected to the surface to prevent poisoning from crafty land dwellers. 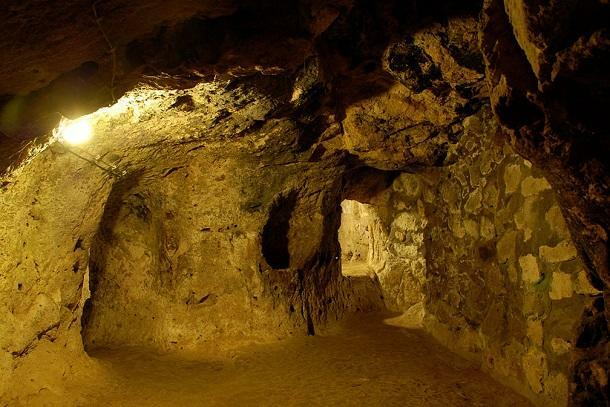 The cave-like rooms served various purposes and were used as shops, sleeping rooms, communal rooms, arsenals, livestock, escape routes, and even tombs. 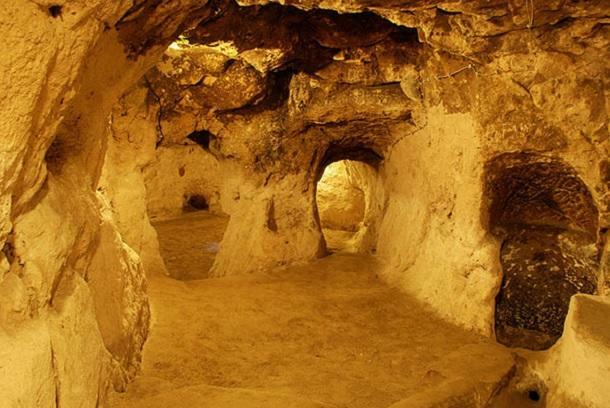 It really was a living, self-sufficient striving community since Derinkuyu also had a church and a school. 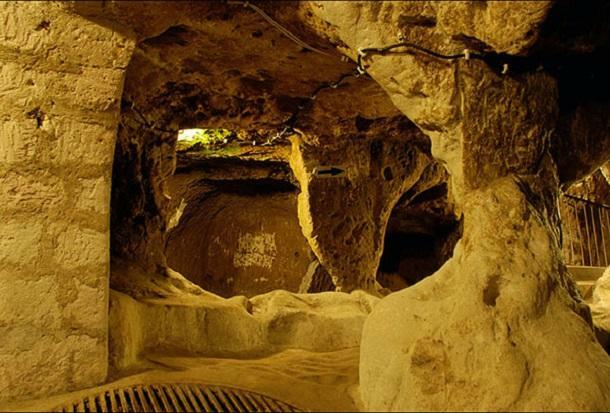 The city's tunnels has hundreds of caves, making it large enough to shelter tens of thousands of people. 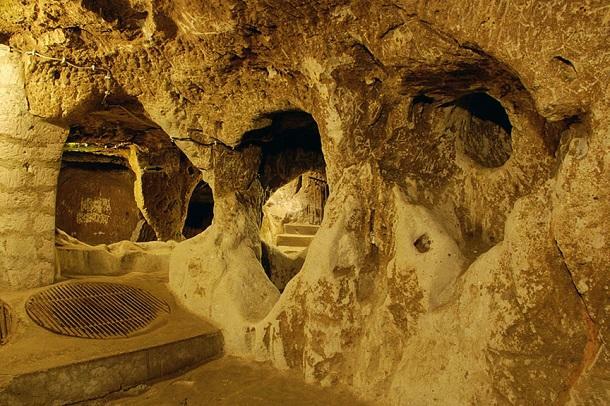 Many theories surround the discovery of ancient Derinkuyu, all speculating which ancient race built it. 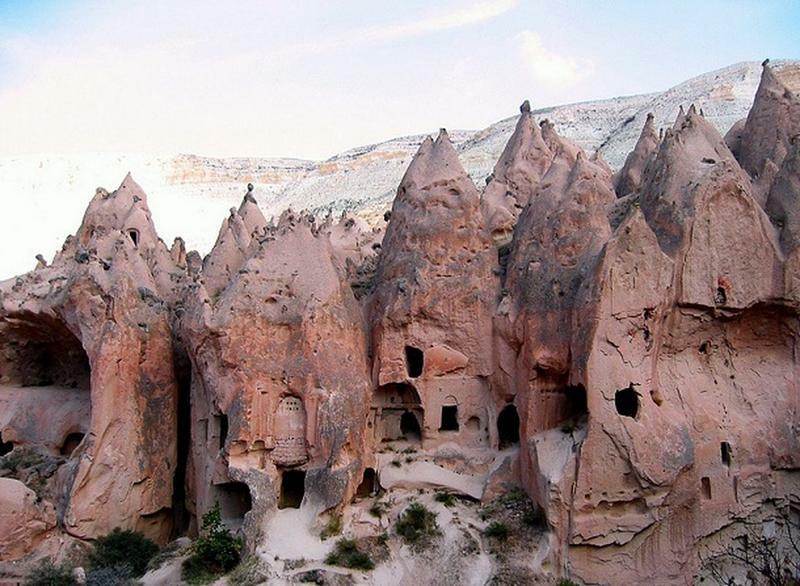 One theory is that the Hittites of Cappadocia carved out the rooms from the rock some time between the 15th century and 12th century BCE. 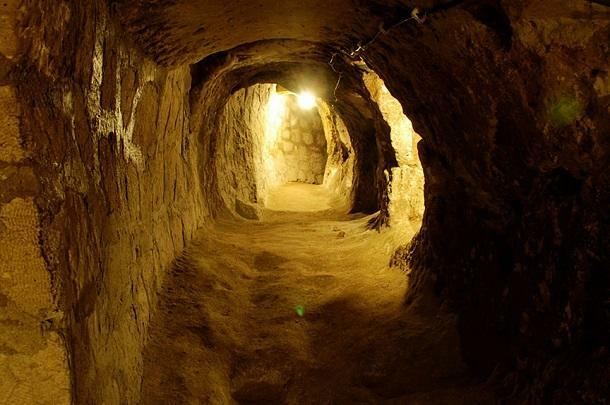 Another theory suggests that the Phrygians first built those tunnels between the 8th and 7th centuries BCE. 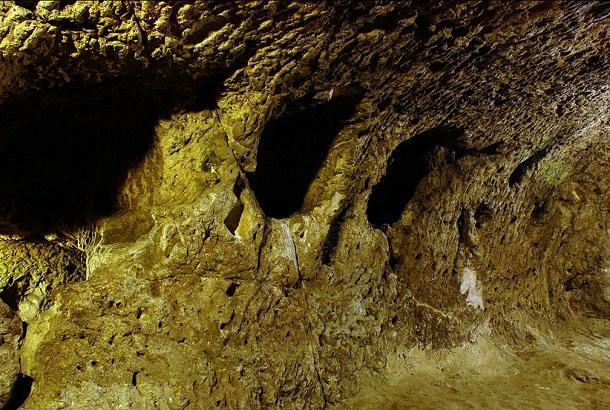 This theory was reinforced by archaeologists who consider Phrygian architects to be among the finest of the Iron Age known to have built complex construction projects. 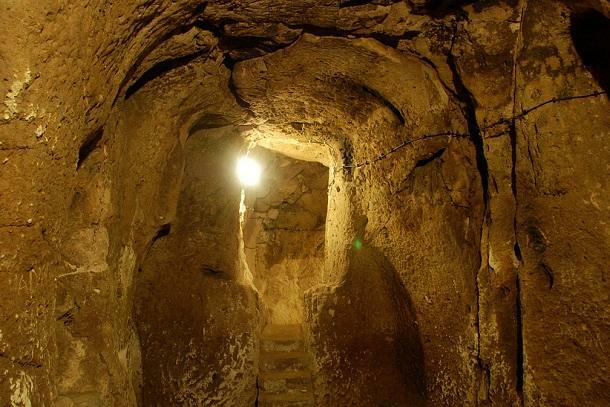 Plus the fact that they inhabited the region for a long time, the Phrygians often get the credits as the ones who created the Derinkuyu underground city. 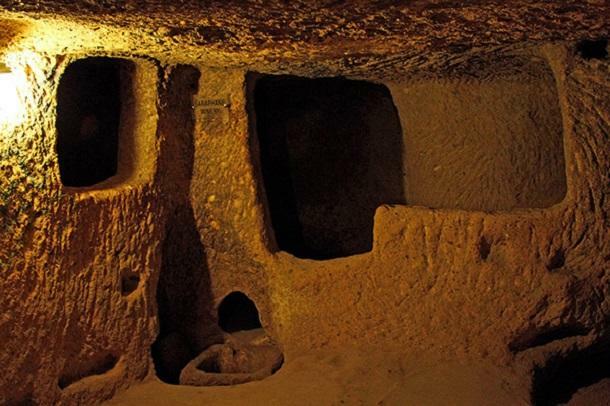 Since the city was carved from naturally-formed rock, traditional archeological dating methods would fail to accurately discern the origins of Derinkuyu.